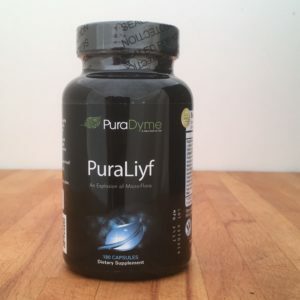 PuraDyme is not your ordinary health supplement company, they are devoted to a “Global Paradigm Shift” in health consciousness. The company was founded by Lou Corona and dedicate themselves helping others achieve a better, healthier lifestyle. Lou Corona’s goal is to create a change in health consciousness and to help give people a more Lean, Clean and Serene lifestyle. They aim to help people achieve these goals by supplying every cell of their bodies with enzymes, amino acids, fatty acids, glucose, simple/ complex sugars, vitamins, minerals, trace minerals and phyto-nutrients on a regular basis, one of the most important tenants of this is to supply them in their wholefood form! Make your Paradigm shift with PuraDyme! PuraDyme is not your ordinary health company they are driven to teach consumers how to take control of their own health. They provide educational resources, recipes, seminars and can even provide 1-on-1 training. They have a simple goal, give you the tools necessary to create a healthier life-style. The secret to true lasting health is not about dieting, it is about changing your life and your habits, incorporating healthier habits. PuraDyme has a vision for everyone to live life disease and illness free allowing them to maintain a vibrant and radiant lifestyle. A food is raw when it is in its uncooked, natural form. Raw LIVING foods are foods that have been cultured with a synergetic blend of friendly flora, to aid in optimal digestion and the establishment of friendly flora in the intestinal tract. PuraDyme is committed to true health and the foundation of the 4 Principles. Every product is stamped with our Commitment to Quality and guarantee that our consumers are getting superior supplements! We Promise to NEVER compromise our product quality or integrity of our business practices. Empower yourself with the knowledge necessary to live a life free of disease! Free your mind from negative emotions and personal judgments and live a life of harmony and peace! Knowledge is power and by empowering yourself you will be able to share this information and make a real difference for the people in your life. PuraDyme was founded on Lou’s love for mankind and passion for humanity. With a desire to see every person live a natural, radiant and vibrant life, free of illness, PuraDyme’s vision is to create a paradigm shift in health consciousness, and to ultimately teach others to love the Earth, themselves and others using the 4 Principles. Probiotics are living micro-organisms, often called ‘friendly bacteria’, which compare to the natural bacteria that resides in the body and more commonly in the digestive tract. You’ve most likely consumed probiotics in yoghurt form, or one of those popular probiotic ‘breakfast’ drinks; but this is one step up from those. Probiotics’ versatile formula is enzyme-enhanced, offering a host of valuable health-related benefits including the ability to combat allergens, bloating and infection. PuraDyme Probiotics are perfect for reducing gum disease and bad breath too, as well as calming sore throats and strengthening loose teeth. You recognise that maintaining a ‘healthy gut’ is essential to your overall health and wellbeing; it’s something you need to consider on a daily basis. 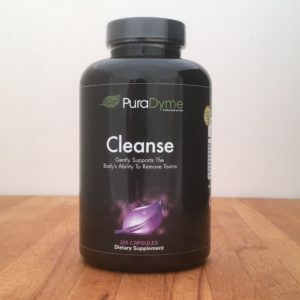 If you are searching for a natural detox supplement that gently cleanses, strengthens and renews the intestinal tract, then Puracleanse comprises a superior blend of herbs that soothe and heal, providing essential ongoing support to your body’s immune system. 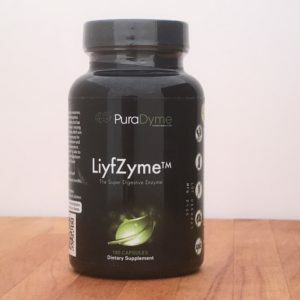 LiyfZyme is a plant-based formula comprising 16 ultra-powerful digestive enzymes, designed to benefit today’s varied diets, particularly those which are enzyme-deficient. Enzymes are our body’s key communicators, ensuring that nutrients are broken down and absorbed by the body, in order to promote optimum digestion. LiyfZyme is an all-natural digestive supplement – powerful, yet gentle – which makes it suitable for those who suffer with indigestion or heartburn to enjoy the many benefits of this superior digestion-enhancing formula. 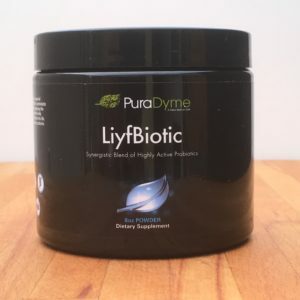 LiyfBiotic is the perfect daily aid to digestion and the key maintaining a healthy gut flora. This powerful formula comprises five ‘synergetic’ strains of friendly bacteria, which work in harmony to keep your intestinal tract healthy. Do you suffer from bad breath, gum disease or wobbly teeth? Then LiyfBiotic’s multi-strain probiotic recipe can help regenerate your mouth’s cells – use after flossing or cleaning your teeth. Wouldn’t you like to look more youthful, feel healthier and enjoy more energy every day? 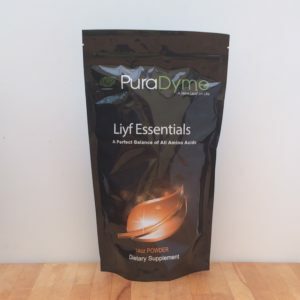 Liyf Essentials includes all 21 amino acids – all the vital nutrients your body needs to ensure balanced nutrition. Liyf Essentials is the perfect addition to any health-conscious ‘chef’s kitchen’; use it in delicious smoothies, soups, dressings and your own nutritious recipes! What are people saying about PuraDyme online? Check out the latest reviews and recipes and join in the conversation on Twitter. Here at The Raw Builder Store, all your favourite products are a mere click away. If you have any questions about PuraDyme products, or any aspect of The Raw Builder lifestyle, I will be pleased to answer them. You can call me on: 07889 908525, or connect with me via the Contact form on this site. Come and say “Hi” over on Facebook and Twitter too!